4 Sizes: Runner 18in x 38in, Baby/throw 56in x 66in, Twin76in x 86in, and Queen 90in x 100in. Reach in and grab yourfavorite flavor! 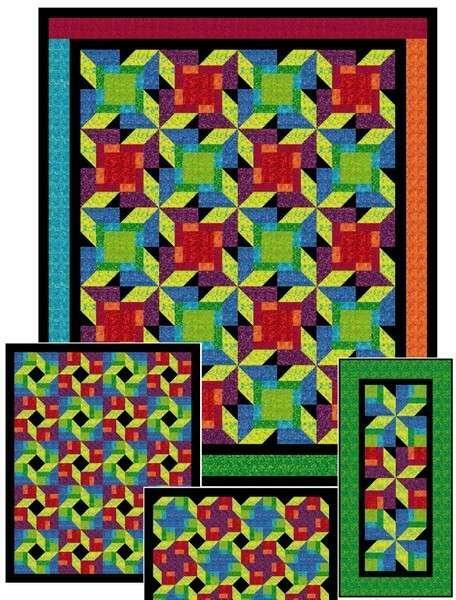 These fun quilts are made with one easyblock unit which can be rotated to create 4 differentlayouts. Use 2-1/2in strips, fat eights, fat quarters.